The dairy industry, facing downturns for years, has seen a sudden uptick as woke, meme-literate UW students chug milk in solidarity with the “he needs some milk” man, popularized on Vine. After facing an untimely death in 2017, Vine received mass attention, with compilations of the six-second videos populating YouTube. The national “March for Vine,” held appropriately on 4/20, drew over fifty thousand stoner youth, all with individual meme Instagram pages, in Washington, D.C. The specific vine in question features a man having a public freakout. One woman filming speculates that he may be high on synthetic marijuana, and the other suggests that “he needs some milk” as he falls and seizes on the concrete floor. How milk became a cure for dissociative drug overdoses remains a mystery. Speculation suggests that the white coloring, resembling cocaine, is comforting to resident drug kingpins (a.k.a. stoner Brad on your floor, who is a mediocre pot dealer). It has also been suggested that for milk-chugging teens, milk brings inner peace and has the strength to align chakras and rebalance one’s soul. For students of “UW-Madison Memes for Milk-Chugging Teens,” chugging in solidarity was not even a question. Hundreds of memes, (o)(c), flooded the page in support of the “he needs some milk” man. Videos of students brazenly chugging gallons (and then yakking by Witte) went up. “Haha” reacts poured in. The unintended beneficiaries, however, are the farmers that have long struggled in Wisconsin. 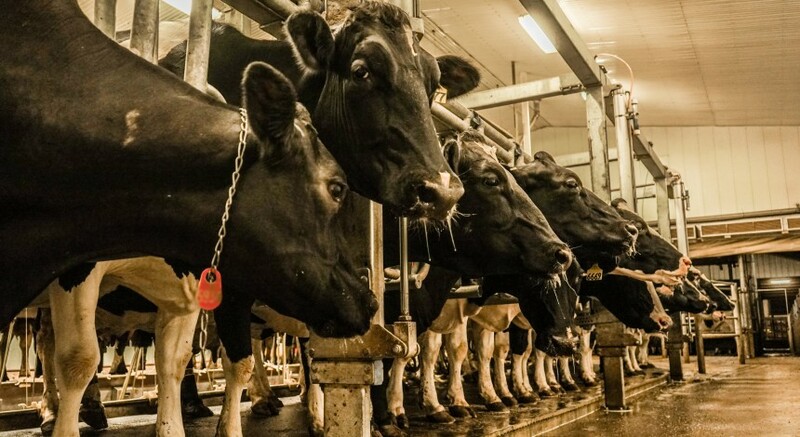 Economic downturns in the dairy sector have plagued farmers in Wisconsin for years. But as milk flies from the shelves, it seems that now, “he” isn’t the only one who needs some milk. Gordon’s Dining Hall reported a 75 percent increase in the sales of dairy products (with most of that coming from the quesadillas). The Dirty Bird, of course, stands in solidarity with the overworked dairy cows. That sounds sufficiently politically correct.